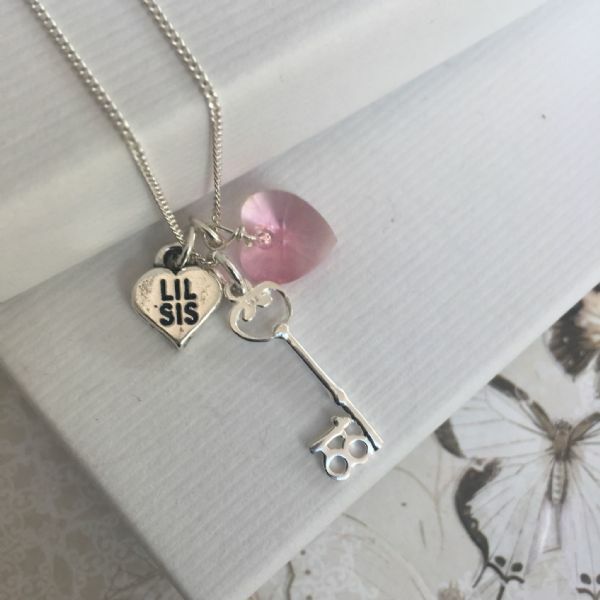 Our gorgeous sterling silver 18th birthday little sister necklace has a sterling silver 18th birthday key, silver 'lil sis' charm and shown with a pink swarovski crystal heart (the crystal heart is available in any favourite / birthstone colour of your choice). 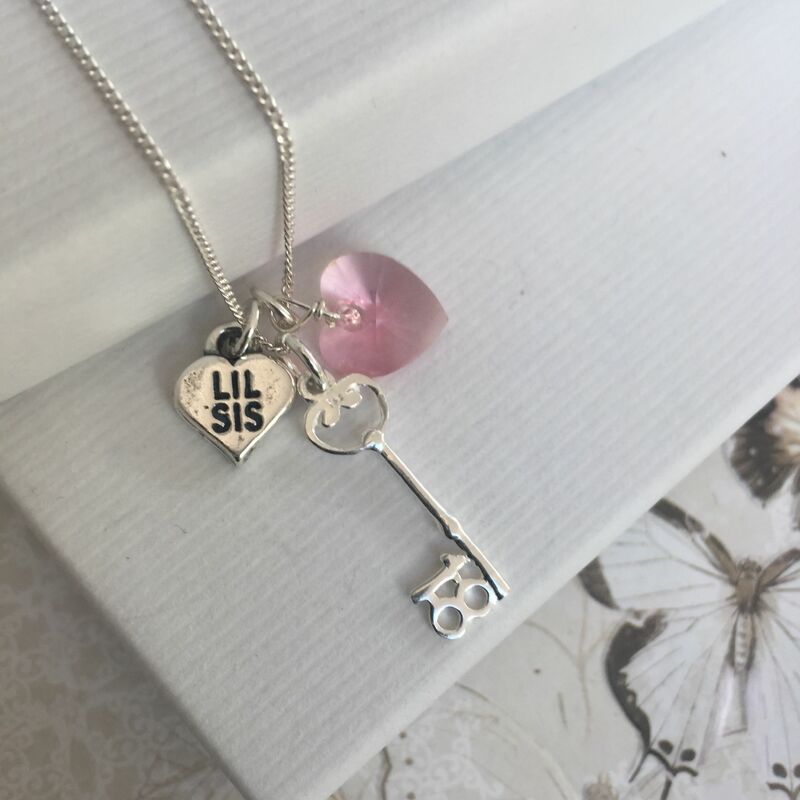 This 18th birthday little sister gift comes on your choice of an 16" or an 18"length silver curb chain or silver box chain. 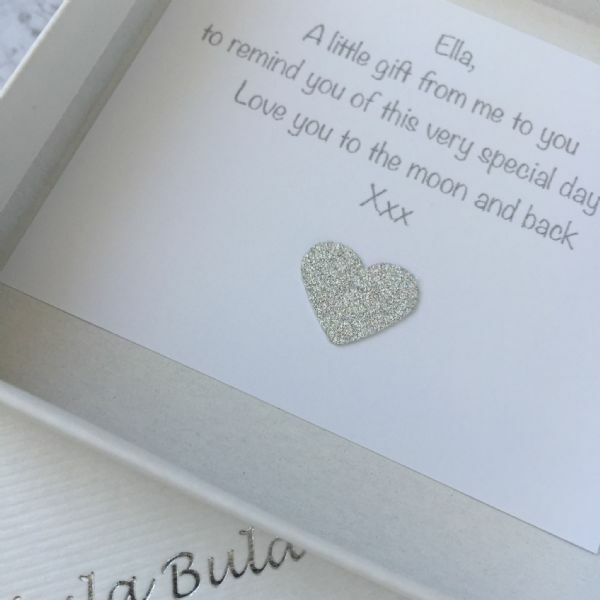 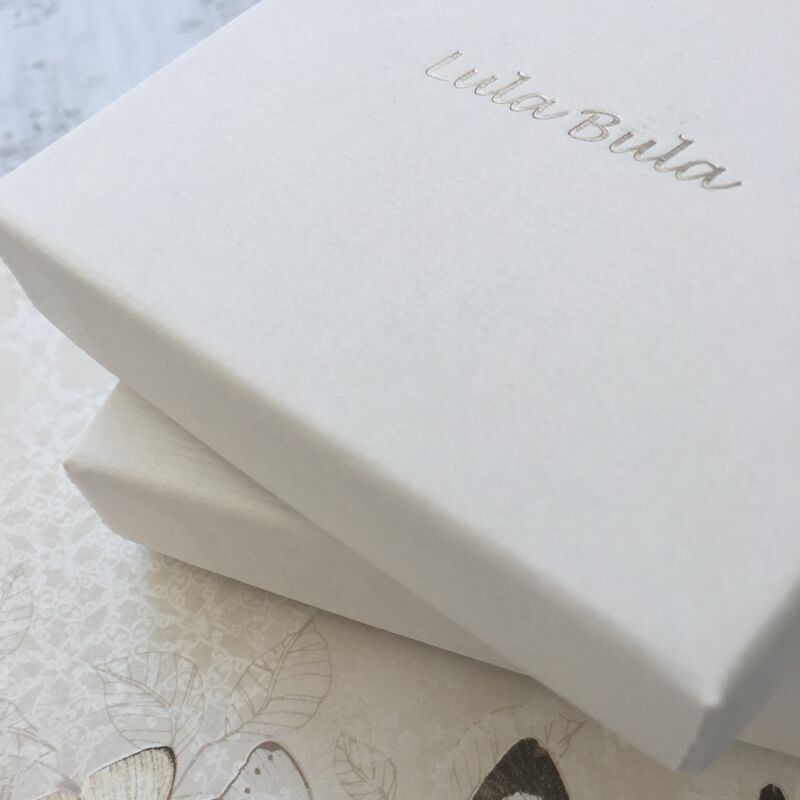 It is the perfect keepsake jewellery gift for that special little sister's 18th birthday.